Today I have two sets of stuffed noses and miserable kids, oh joy:( I guess I should be happy they are sick at the same time and a week before we’re going to Sweden. So now we’re pushing vitamin C rich food and lots of fluids which seems to be all they are interested in anyway. Me and James are both going to our acupuncturist to boost our immune systems to make sure we stay healthy. Operation cleaning out fridge and freezer continues and going pretty well however, it does not allow the making of a lot of interesting dishes. Yesterday dinner, I had all of these ingredients but did not now what was going to be the end result. It turned into a stew because stews are fairly easy to make from few ingredients. This stew got a Mexican influence from the spices I guess and it was very good and satisfying. The base is minced Quorn which is a mushroom and egg white vegetarian protein. 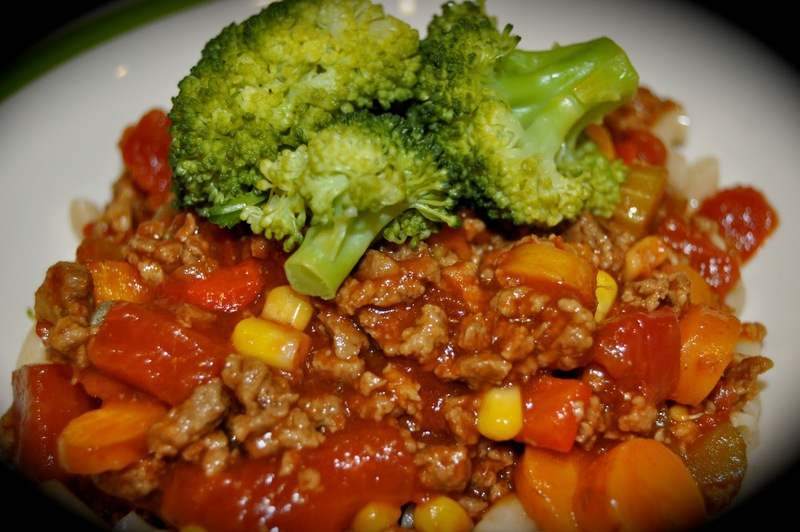 For vegans use textured vegetable protein or soy mince instead. Heat oil in a large saucepan on medium heat and cook garlic, onions and jalapeño peppers for a few minutes. Add carrots, corn and celery and cook for another minutes. Pour tomatoes, ketchup and capers, water and combine. Bring to a boil and then reduce to a simmer for 20 minutes. Add the protein, salt, pepper and chili pepper and cook for another 5 minutes or until the protein is hot and has blended into the stew. Serve with corn bread, rice and/or vegetables.